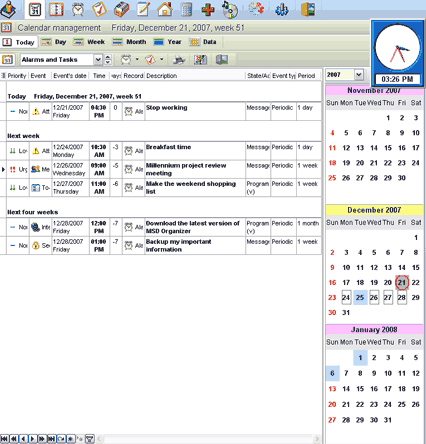 MSD Organizer is another great Personal and Professional Organizer or Portable Personal Information Manager. MSD offers many interesting features including pluggable modules such as a calendar with reminder function, phone book, todo list, internet password manager and much more. Once extracted, the complete installation is less than 10MB making MSD Organizer ideal for even the smallest Portable USB flash drive installs. Note: You can uninstall the program from your PC once you have a portable copy.